One of the greatest sources of stress leading up to a big trip is deciding what to pack. What do you bring? What can you not live without? If you’ve ever suffered from Packing Anxiety, we’ve got you covered with this tried-and-true Tahiti Packing List specifically designed for your vacation in paradise. We’ve condensed the most popular, destination-specific have alongs, as well as what you can safely leave at home. It’s at the very top of our Tahiti Packing List for a reason. 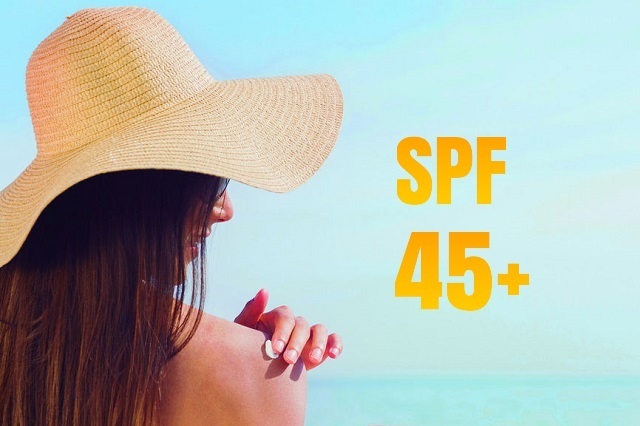 The rays in French Polynesia pack a punch so be sure to opt for an SPF of 45 or greater, and re-apply frequently. A good rule of thumb is 2-3 ounces per person, per day. Also, be sure to bring along a high SPF chapstick or lip gloss. Trying to smooch with sunburned lips is no fun! And, while sunscreen is easily purchased in the islands it is tres- expensive. Bring your own and save that money for cocktails! A wide-brimmed hat will provide shade for your face as well as protect the back of your neck. Be sure of a snug fit—a good breeze can sweep it right off into the lagoon! As with any tropical destination, Tahiti has its fair share of mosquitos. Insect repellant is a must; particularly at the open air island airports. Our favorites are the moistened bug wipes because they’re handy, portable, and easy to apply. Stick a couple in your pocket and you’re ready to go! 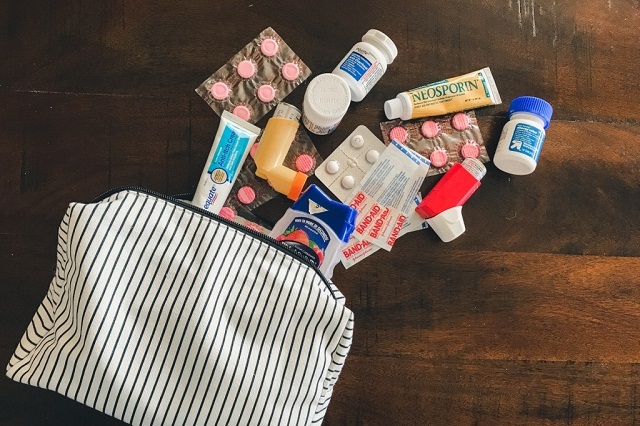 Prescriptions you use at home on a regular basis, aloe vera for sunburns, itch cream for bug bites, band-aids, and ibuprofen. Also consider anti-bacterial creams or sprays, tweezers for the occasional wood splinter, anti- diarrheals and antacids, cold and allergy remedies. Toss a small supply in some labeled Ziploc bags and, should you need them, you’ll save yourself a small fortune by vs. purchasing them at the resort’s sundry shop. Stay hydrated by taking your water with you to the beach, the pool, anywhere you’ll be outside. We also like to pack some water flavoring crystals just to mix things up! The tap water in French Polynesia is perfectly safe to drink, or you can fill up at the workout room water cooler. It’s true that every resort has them for you to borrow. However, they get a lot of use in the mouths of a lot of people whom you don’t know. We’ll leave it at that. Quick caveat. Your primary outfit for the day will be your swimsuit–we recommend packing at least 2-3 each! Gentlemen, even at the most exclusive resorts, you’ll be perfectly dressed in cotton or linen shorts, short sleeves, and flip-flops or sandals. No need to bring slacks or closed-toe shoes unless they’re a personal preference. Ladies, you’ll be most comfortable in sundresses and sandals. Choose lightweight, breathable fabrics, in colors and styles that will show off your oh-so-glowing sun-kissed skin! Note: see our reference to high-heels in the ‘What to Ditch’ section below. 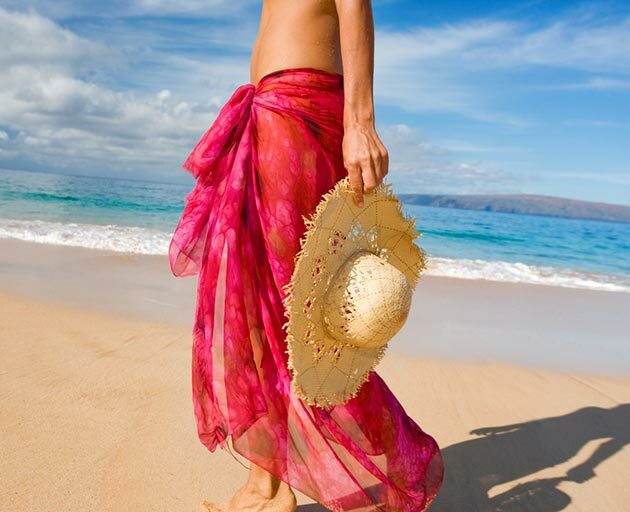 A pareo or sarong is the swiss army knife of island fashion! With a quick twist or knot, it will easily transition from swimsuit cover-up to chic dinner dress. If you don’t bring one with you, they’re abundantly available (and in an astounding array of colors and patterns) at the local shops and resorts. Image courtesy of The Blonde Salad. An essential for protecting your feet from any sharp pieces of coral or seashells, water shoes also provide needed traction for climbing any wet or slippery rocks. Ladies, or gentlemen with long tresses, be sure to pack your favorite hair conditioner, as well as a detangling spray. You’ll be spending plenty of time in the sun and saltwater which can leave your tresses a snarled and tangled mess! While most every resort provides conditioner as a standard bath amenity, you’ll be grateful you brought the one that works best for your hair type. Easy to pack, and a great have-along if you purchase your own supply of Hinano, wine, or other beverages locally. You’ll also enjoy having a place to store locally purchased cheeses which are great for snacking on with fresh French baguette. While most resorts have mini-refrigerators in the guest rooms, they are pre-filled with items for purchase from the resort leaving little to no room for your personal items. Also, we’ve found they don’t keep items as cool packing your beverages on ice. Embrace a ‘beach hair, don’t care’ attitude—you’ll be so thankful you did! Truly, any sort of contrived hairstyle will be an uphill, frustrating battle. If anything, pack along some stylish headbands, hair turbans, or decorative barrettes/hair clips. These are great tools to keep your hair out of your face, and off of your neck. You’ll be spending so much time in the water, and the humidity is dense–why squander the energy or expensive product? This is THE perfect time to flaunt your natural glow! Ditch the heavy foundation, powders, and eyeliners. Do as the French women do and opt for a good SPF tinted moisturizer paired with a nourishing SPF lip-gloss. If it makes you more comfortable to bring a small amount of local currency, that’s fine. However, ATMs are very accessible at the airport in Tahiti as well as on the major islands. Further, all resorts and most shops and restaurants do accept credit cards. Check out our Money in Tahiti blog post for more advice and tips. It may go without mentioning, but this really is not a destination for stilletos or platform shoes. We’ve seen far too many ladies struggle with getting them caught between the planks of the wooden pontoons, or twisting an ankle on uneven walkways. You’ll feel perfectly elegant (and confident) in a strappy, low or flat heeled, sandal. And lastly, take a deep breath and don’t sweat the small stuff. Whatever you’ve forgotten can usually be purchased in the islands. Will you pay a premium? Of course, but all will not be lost. Who’s ready to start packing?